Time is flying isn't it? If you're anything like me - you might be wondering where this year is going? We're in September now and that means there's only 3 full months until the end of the year. I still have a lot of plans and goals that I'd like to achieve in 2017 and with that in mind I decided I needed to create a 3 month calendar. I know, I know... it's only September... I shouldn't be mentioning the C word just yet but I'm running my own small business so I need to plan ahead! The festive season will probably be one of my busiest so I'm putting my organisational hat on and making a plan. 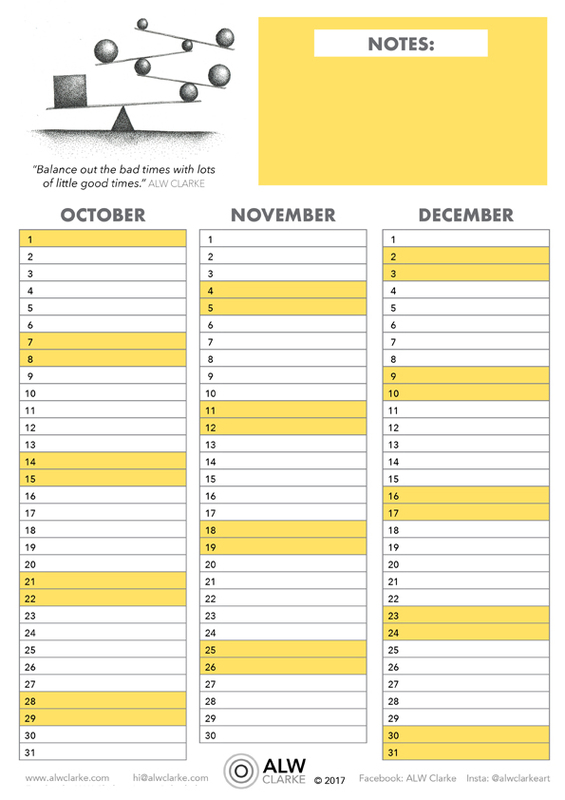 I've created a one page calendar that you can print out and write down all the important dates and milestones for the coming months. I find that having a visual of the time ahead can be really beneficial and (especially for me) help ease the anxiety of time running away from you.